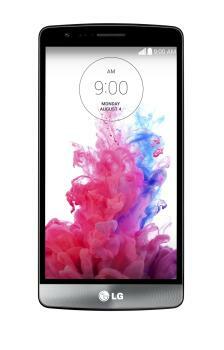 LG G3S Sim Free 5" Quad Core Smartphone 8GB Storage 1GB RAM Android 4.4 (KitKat). Following on the success of the LG G3, the LG G3 S is a welcome addition. With a 5.0 true to life HD IPS display and an advanced 8MP camera with Laser Auto Focus, LG G3 S combines best-in-class technology all within a sleek, compact, metallic design. Plus, powered by a long lasting 2540mAh removable battery, you can stay connected all day long. The premium compact design of the LG G3 S provides easy one-hand control with a comfortable grip and its metallic skin minimises smudges so you can keep your device clean and fingerprint-free. With an advanced 8MP OIS camera, the LG G3 S provides perfect picture quality by reducing blur and shakiness, plus with its Laser Auto Focus technology, you can capture those all important moments in life in an instant. Surprise your eyes with colours so real you wont be able to tell where the screen ends and reality starts. With a vibrant 5" HD IPS display, you can experience pictures and videos in intricate detail and true to life colours. Smart Keyboard offers smooth and seamless writing experiences, with easy-to-use features that eliminate errors, automate word correction and adapt to your unique writing style. Fuelled by a high capacity, long-lasting battery, youll find the power you need to perform any task all throughout the day without weighing you down or needing to recharge. The LG G3 S provides enhanced security with KnockCode--an easy and secure, one-step home screen access with over 86000 possible combinations to keep personal information safe.